In March I wrote a column in the form of a memo to Secretary of Defense James Mattis, National Security Adviser H. R. McMaster, then-Secretary of Homeland Security John Kelly, C.I.A. Director Mike Pompeo and Secretary of State Rex Tillerson. After Trump tweeted that Tillerson was wasting his time negotiating with North Korea, Tillerson had to publicly assure us that he had not been “castrated” by Trump — which meant that he had. That was a baldfaced lie. The C.I.A., F.B.I. and N.S.A. issued a report in January concluding that Russia’s President Vladimir Putin personally “ordered an influence campaign in 2016 aimed at the U.S. presidential election,” designed to denigrate Hillary Clinton and aid Trump. At the same time these agencies declared, “We did not make an assessment of the impact that Russian activities had on the outcome of the 2016 election,” which was outside their writ and expertise. Pompeo just made that up, no doubt to please Trump. Finally, sadly, Kelly squandered his moral authority by starring in his own White House podium hostage video. He began well. Kelly spoke eloquently and with great dignity about the pain of losing a son in battle, as he and his wife did, and about certain bedrock values that our society has lost in how we treat one another. He even seemed to explain how the president’s phone call to the widow of a Green Beret killed in Niger got garbled. If only he had stopped there. But instead he began to talk like Trump, gratuitously smearing a black congresswoman who was a friend of the Green Beret’s bereaved family — with provably false charges. It was tragic. In an instant he went from General Kelly to Kellyanne Conway, just another Trump apologist. Sarah Huckabee Sanders must have known that Kelly had lost his moral authority, because, the next day, when reporters challenged Kelly’s comments about the congresswoman, the White House spokeswoman tried to shut them up by holding up Kelly’s formal uniform, saying, “If you want to get into a debate with a four-star Marine general, I think that’s something highly inappropriate.” Sorry, Sarah, when a general lies, he loses his moral and formal credibility. 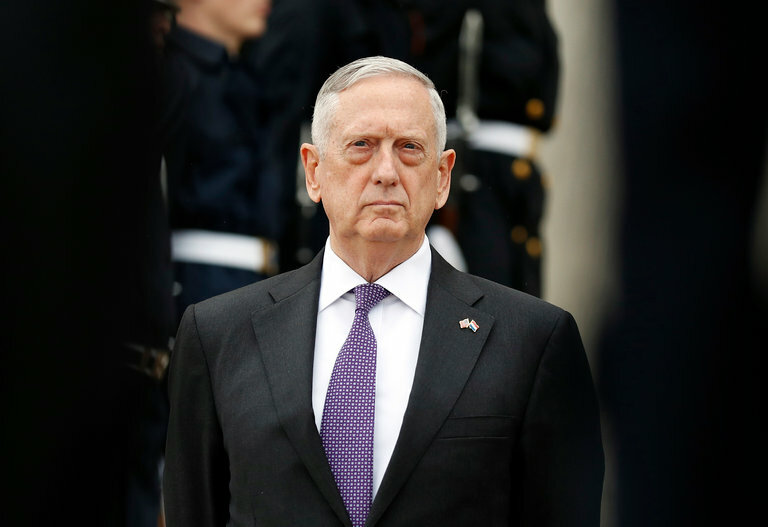 That leaves Mattis as the last man standing — the only one who has not been infected by Trump’s metastasizing ethical cancer, the only one who has not visibly lied on Trump’s behalf, and who can still put some fear into Trump. Well, Secretary Mattis, here’s some free advice to the last man standing: Don’t just stand there. If you just stand there, you’ll be next. Because Trump and Sanders will be looking to enlist your old uniform next in their defense — that is, if Trump doesn’t throw you under the bus first to escape responsibility for the bungled operation in Niger. Friedman knocks it out of the park! Thank you for bringing this to our attention, Frank! He ran it up the flagpole. Let’s see if Mattis salutes.